Beth E. Janzen is passionate about writing, teaching, and living a vibrant, creative life. 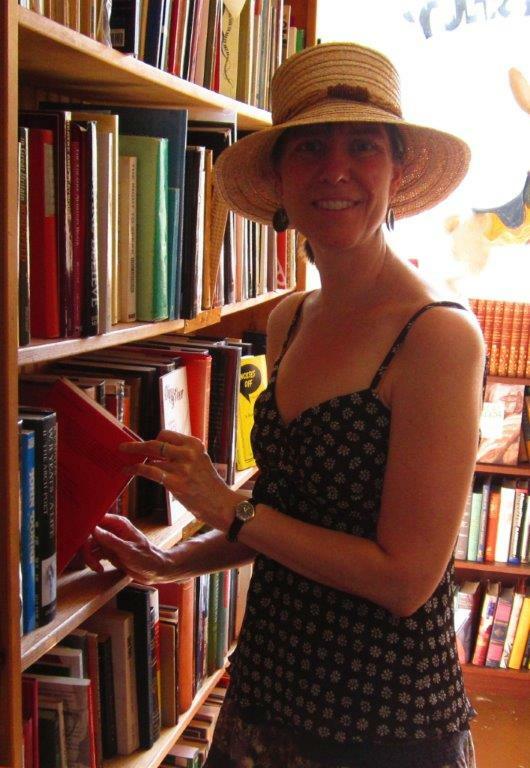 The Enchanted House (Acorn: 2006), her first full-length book of poetry, was nominated for the PEI book award in 2008, and her chapbook Night Vanishes was published by Saturday Morning Chapbooks in 2004. Her short story “Watermelon” appeared in July 2012 in Riptides: New Island Fiction (Acorn). Among her many diverse activities over the years, Beth has danced with an improv group at a gallery opening in Holland, shown her artwork in a print-making show in Charlottetown, housesat for a friend for a Moncton winter, written the script for an instructional physics video on wave motion, taught Suzuki piano to children in Ontario, fed and cared for horseshoe crabs in a university laboratory, gone dogsledding on a frigid day in Tignish, soaked in outdoor hotsprings in Japan, taught courses on poetry and fiction in several provinces, played in an all-women floor hockey league in Vancouver, and has lovingly taken hundreds of pictures of peeling paint. She has been a member of WWW since January 2004 and feels incredibly blessed to be a part of it. She is currently working on a poetry manuscript, a trilogy of short stories, and a novel. You can find out more about Beth’s writing and teaching at her website www.bethejanzen.com.